Our english, creative writing and publishing degrees will inspire you to build new perspectives, create inspiring and engaging copy, and change the way you think about language. 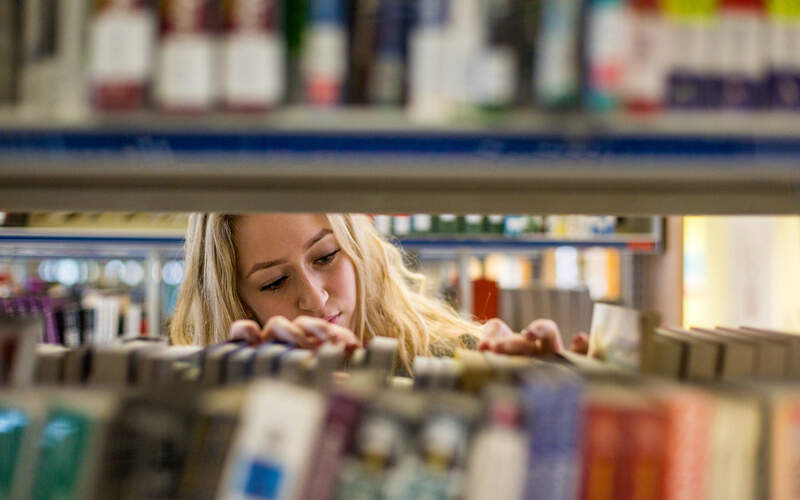 On our courses you’ll explore literature from across the world, learn about publishing as a creative industry, study language and the manipulation of words, and examine the associated theories and themes. You will be taught by our experienced writers and academics who will show you how to analyse texts and develop your ability in sharing your thinking and presenting your interpretations, as well as creating new pieces of work and experimenting with your writing style. Our lecturers include award-winning and internationally respected novelists, short story writers, poets, songwriters, performers, scriptwriters, editors, publishers, agents and new media writers. With our own in-house publishing unit and some great placement opportunities, we’ll help you gain relevant experience to boost your CV and give you a head start in your career. Our English, Creative Writing and Publishing degrees are inspiring, relevant and designed to give you the best start in your career. “I wanted to do something different, that would challenge me, that I would enjoy, and that would take my career in a different direction. I chose to do an English degree at Derby because I have always enjoyed reading, the course looked stimulating and I found the University campus welcoming. It was definitely one of the best decisions I have ever made. 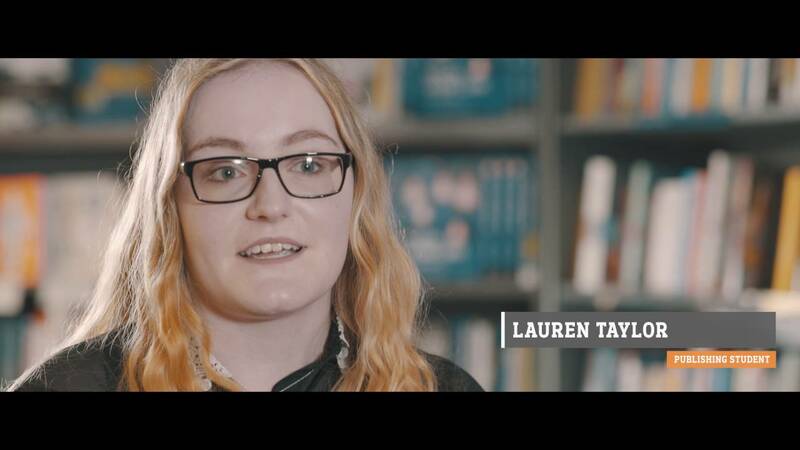 Find out what it's like to study Publishing at the University of Derby.